As a working creative, I often feel the pressure to have the social media metrics to be deemed an 'influencer' in order for certain doors to open, but I constantly have to ask myself what these numbers actually mean. Sometimes, it is tempting to focus on what my social media numbers look like, and while this may seem silly or trivial to others, those in the creative field can attest that these numbers can determine which doors you can walk in through. In this digital age, those numbers can sometimes overshadow talent. But this weekend, I watched Quincy Jones documentary on Netflix, and it grounded me. Watching his story reminds me that our craft and contribution to the world is what really matters: the real life, transformational human connections that we make offline is what makes the difference. Quincy Jones reminded me that our real job as artists, writers, and creatives is to touch and contribute to the world in a meaningful, tangible way. Building and continuing the LEGACY of those who came before us is the kind of influence we need to put our energy towards. Instead of worrying about our popularity, we need to concentrate on earning the right and honor to help fill their shoes. We must redirect our efforts into creating art that actually touches others enough to heal them. Instead of asking, “how can I shine?” we should ask, “how can I shine my light to brighten others?” Naturally, the latter will make you more luminous, because you are activating the glow of those around you. I want to be clear, I have respect for the influencers who have succeeded in building their platforms! They too are #GOALS , but also want to encourage us all to invest more energy towards being present and impactful in real life- something we too often forget in this day and age. At the end of the day, we all have the power to influence and make a difference in someone. So with that, let’s get to work, family. Happy Monday. With thanks to the Asian Women Giving Circle (AWGC), I'm launching a new project during New York Fashion Week with Remake. 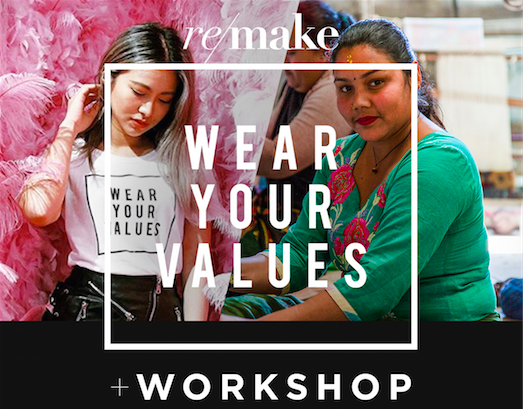 I'll be heading to NYC to facilitate several workshop events connecting the dots between women's empowerment and sustainable fashion, with an Asian-American women's history twist (yes, they are all connected!). I would love for you to join me! The FREE events are happening on September 5, 7, and 8, and you can choose between one of two venues. Sign up via the links below! It’s easy to dismiss Haute Couture as inaccessible and unapproachable. After all, not many people have the ability to shell out six-figures for a single dress. Most would argue that even if they did have the money, they’d rather use it on something more useful, like a down payment on a house, a college education, or even donations towards a community cause. While all of these points are valid, I invite you to think about couture in a different way: the eye-widening price tags that come with a couture dress have the ability to pay for an entire team of artisans, which in turn, can feed their families for months at a time. 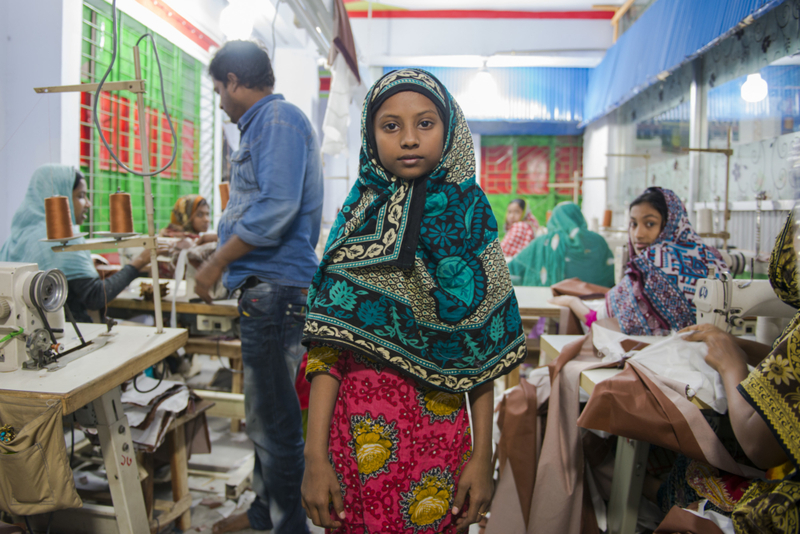 That’s more than what we can say about the price accessible $20 dresses we can get at fast fashion outlets like Zara or H&M, which more likely than not, exploited the worker who made them. In a past interview, designer Christine Nielsen of Hyun Mi Nielsen once shared with me, “It’s very important to me to produce in Italy and in France because I know that people have a good life: They have a pension, they get paid extra if they work weekends. It’s an ethical way of working. It’s important to know that the people in the production chain are empowered, that I am supporting a system that makes sure workers have a good life,” she said. While I don't know if the method is the same for bigger couture brands like Chanel, I do know that smaller couturiers have a similar approach as the one stated by Ms. Nielsen above. Second, artisans are specialized craftsmen and craftswomen who have trained in a niche skill for years. Many of them are trained in ancient crafts that originate from cultural traditions that are sadly going extinct. As our world moves faster and faster, these traditions are fading away because the slow process of producing them is viewed as ‘cumbersome’ to a new generation who are used to speed. But these traditions are important to preserve, and so is the respect for the time it takes to make something of quality and substance. For example, can you imagine a world where the kimono becomes a thing of the past? The kimono, an icon of Japanese savoir-faire, has the possibility of fading into obscurity in a few generations. Haute couture takes these traditional crafts and revives them in modern fashion. By doing so, artisans can continue their work, earn an income, and the craft can stay relevant enough to be passed on to the next generation. Furthermore, the nature of couture is sustainable and slow fashion. Because couture dresses are made-to-order, they are produced in much smaller batches and use less waste. Many couturiers I’ve seen this season have also used upcycling in their collections, turning waste into wearable art. While not everyone can buy an haute couture dress, we can all learn from the nature of couture by slowing our fashion down. We can do so by buying less, choosing better, and developing a better relationship with our clothes. If a piece of clothing gets torn, mend it instead of disposing of it. Instead of being tempted to buy cheap items that will likely not get worn often, choose the ones that you know you can commit to wearing at least 30-50 times. And finally, there are in fact, affordable brands out there that use the same practice of reviving old traditions into modern wear. See my brand directory to learn more, as well as this piece I worked on with Dyanna Quizon on Hella Pinay. It is with excitement that I share the details of my first speaking engagement of the year, which will be held during Madrid Fashion Week. I will be joining fellow fashion changemakers on January 27th at the "Smart Fashion = Slow Fashion" event, a day of presentations centered around helping the industry contribute to the United Nations' Sustainable Development Goals. I am proud to present at the conference as an ambassador of Remake, an organization dedicated to mobilizing a conscious consumer movement, based in San Francisco. I will be speaking on the topic: "Fashion & Empowerment: Beyond the Image", where I will connect the dots between the women's empowerment movement and sustainable fashion. WHO: The event is organized by The Circular Project , founding partner of the Sustainable Fashion Association of Madrid MSMAD , along with the Association of Fashion Designers of Spain ACME and the international platform Slow Fashion World. Additional guests include the British Fashion Council, Greenpeace, Oxfam, and more. WHAT + WHY: Exhibitions of fashion designers creating change, as well as a day of meetings and conferences to inform the fashion industry about ways to contribute to the UN's Sustainable Development Goals. WHEN: Taking place during Madrid Fashion Week, fashion exhibitions will be open during January 23-30, and the day of conferences (where I'll be presenting) is on January 27. My presentation is at 1:30 PM. To see the full agenda and for details on how to attend, see here. Hope to see you in Madrid! In a heightened state of political and social consciousness, it is baffling how a mega brand like H&M can somehow make the mistake of printing a wildly offensive ad. The ad, featuring a young black boy wearing a sweatshirt with the worlds “coolest monkey in the jungle”, is obviously racist. Yet somehow, it still managed to get approved into print. This what happens when there isn’t any diversity or inclusion in the decision making table. This faux pas cost H&M valuable celebrity partnerships. The Weeknd sent out a tweet that he will no longer work with the brand, followed by social media condemnation by LeBron James and hundreds of thousands of Twitter users threatening to boycott the company. Not only is this mistake unacceptable, but it could have been so easily avoided. Companies and organizations need to prioritize diversity in their leadership, and to nurture decision makers and storytellers that come from a wide range of backgrounds. It is only then can a company or brand’s story be told with the lens that is reflective of the world today: multicultural, feminist, and on the edge of a tide turning. Companies need diversity in thought and approaches, and when it comes to storytelling, it is imperative that companies carefully select storytellers who can intuitively tap into the heartbeat of the world we live in. Stories are powerful, and those who tell it bear the responsibility to express it with integrity, sensitivity, a deep humanity. More than ever, we need leaders and storytellers who can envision how to uplift people from the bottom up, not the top-down. We need leaders and storytellers who can pulse with the heart of community organizers, and yet still wrap their minds around business priorities. We need human-centered leaders and storytellers who can balance people and profit, and most of all, we need them to look like us: multicultural, feminist, and on the edge of a tide turning. If you’re a media outlet or brand ready to tell powerful and inclusive stories, I would love to help. See my latest web series on NBC News, created with filmmaker Erica Eng, entitled “Wear I’m From”, on the subject of style and cultural identity. 1. 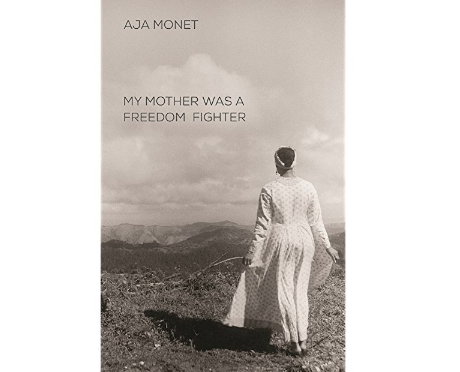 Aja Monet's Book, "My Mother Was A Freedom Fighter", $10.87 on Amazon | Aja's writing reminds us how words can heal, set free, break open, and then put our broken pieces back together to make us even more whole. If you didn't think words had the power to light a revolution (personal and otherwise), Aja will make you a believer. 2. Eugenia Shea Butter, from $12.50 | Eu’Genia Shea is a family-run, black-owned social enterprise dedicated to all natural premium shea butter moisturizers. The mother-daughter duo are dedicated to fair wages and opportunities for their female workers in Ghana and donate 15% of our profits back to them in the form of an education fund. Their shea butters come in delicious scents ranging from lavender to grapefruit. Yummy. 3. Ceramic Tea Cup & Saucer from GlobeIn, $12.50 | GlobeIn is a social enterprise that works with artisans all around the world at fair trade, so you can be confident that anything you get from their site will support communities directly. I'm crushing on this cute ceramic tea cup & saucer pair, made in India's "ceramic city", Khurja. Perfect for a lazy Sunday cozied in with your journal/book. 4. Rose Gold Blossom Passion Planner, $20-30 | Founded by a young Filipina, the Passion Planner is the perfect gift for your ambitious friend with big, beautiful dreams. With useful layouts and calendars, your glow-getter can easily outline her world takeover and shine bright in 2018. 5. Dior by Avedon Coffee Table Book, available on Amazon from $50 (used). | A legendary couturier in collaboration with one of the greatest fashion photographers of all time? It's nothing short of a dream. Christian Dior embodies Paris Fashion, and Avedon immortalizes it for generations to come. Experience the era of elegance through these iconic images. 6. Onyx Dress in Crimson, By Reformation $148 | Reformation is a fashion brand based in Los Angeles known for making stylish clothes that are good for the planet. They also employ their makers with fair wages and health insurance, so their business is the sexiest social enterprise around. Not to mention, their clothes are runway ready and can enchant every fashionista. This Onyx Dress in Crimson looks like the perfect NYE outfit, doesn't it? 7. The Crossbody Cluth from Vele, $295 | Vele is a brand dedicated to making conscious essentials and nurturing empowered communities. With a core commitment to women's empowerment, Vele's founders are intentional about making every woman- from the production to the consumer end- feel valued and worthy. That's why they make their products in collaboration with artisans in Spain, where they provide fair wages and ethical manufacturing. They also donate 10% of their sales to a non-profit called Not For Sale, which combats human trafficking. Their cross body clutch is a functional piece that can transform from day to night with ease. It's minimal aesthetic also makes it a timeless, classic piece. I didn't write this one, but love the picks from Remake as well. The practice of building an ethical wardrobe is not an easy one. For one, ethical brands are much more expensive than ‘normal’ brands, so much so that ethical fashion has been accused of being ‘elitist’ in numerous occasions. Ethical brands rightfully cost more because the price tag covers a fair wage for artisans, safe working conditions, and a healthy margin for the ethical business to be sustainable. It is a noble cause, and as much as we all wish we could consume more ethically, it simply is not accessible to everyone. Admittedly, even I can’t manage to buy ethical items all the time. Frankly, it’s not realistic or fair to expect that everyone can have the purchasing power to support only ethical brands, because the reality of the world is that we come from varied economic backgrounds. And yet, no matter how much money we own, we all share the basic necessity of needing clothing, and I don't think it's too much to ask for us to feel good and decent in them. During a recent conversation with my friend and fashion academic Tanisha C. Ford, she made an excellent point: a 14-year-old girl living in an inner city neighborhood still looks at Zara as an aspirational, luxury brand. It wouldn’t make much sense for us to fault that 14-year-old girl for aspiring for something that society has taught her to want: a beautiful dress that has the potential to outfit her confidence. That 14-year old girl from the inner city does not have the means to buy ethical, even if she wanted to. So as much as I advocate for the moral value behind conscious fashion, it is also not morally correct to shame someone for buying Zara if that’s what their purchasing power allows them to afford. As essayist, journalist, and activist S.E. Smith so eloquently writes, “Moralistic scolding of people who buy ‘cheap junk made in [fill in your country]’ doesn’t actually address the problem that this is a market that’s created the consumer, not a consumer that’s created the market — wages in the US remain stagnant despite advocacy on the issue, cost of living is rising, and many people can’t make the choices they would prefer to make, because they’re facing down very limited options. This is deliberate, as companies have substantial margins of profit on inexpensively-produced goods made in nations with lax labor laws and poor environmental standards”. 1. Buy Less, and Choose Well: Fast Fashion has created a market where clothes can be bought by the dozen. As a result, we are tempted to ‘get our money’s worth’ by buying a lot of cheap items. Instead, I encourage you to choose QUALITY over quantity- instead of spending $100 on five cheap items, use that same $100 to buy one, beautifully made, long-lasting item that you will actually treasure for a longer period of time. This is certainly a more sustainable practice. 2. 30 Wear Rule: In general, I go by this- before buying an item, ask yourself if you can actually commit to wearing it at least 30 times. This helps us choose items that aren’t disposable, but ones that can actually last. 3. Buy vintage when possible: When possible, give clothes that have already been made another life. In essence, buying vintage is recycling. And if you live in Paris like me, you can find fantastic, “Made in France” items that are made in top quality standards! If you absolutely have to buy from Zara, trust that I will never make you feel bad about it. Rather, I will encourage you to consider points #1 and #2 above. While we can’t always buy ethical, we can manage to practice socially responsible shopping habits, no matter the budget. Thought leader Simon Sinek once said, “It’s not important WHAT you do, it’s important WHY you do it.” So what is your “WHY”? What is the reason behind your work? We are living in a time where the news suggests that the world is in a constant state of havoc. Based on my Facebook news feed alone, the world can certainly feel like a lot. Needless to say, if we’re not careful about where we look, it can look pretty dark out there. So what can we do, and where do we begin? For starters, I believe we have to hold the mirror onto ourselves and reflect: what we are doing to contribute to the solution? Are we being loving and kind in our daily actions? Are we extending generosity and positivity to those we encounter on our day to day? Are we loving ourselves enough to have the strength to give love to others? Are we becoming the women and men the world needs us to become? Most importantly, are we being brave enough to take a stand for something? It’s more important than ever to live with a purpose and a cause, but I also know that for many, it can be a struggle to find theirs. But if you begin by wondering which problems you are drawn to solve, or what you are being called to create, you might get a little closer to the answer. How many of us can honestly say that we have explored our curiosities by stepping out and actually getting involved in them, however small the step may be? When I was a college freshman, I discovered the art of spoken word through my friend Adriel. From the beginning, I told Adriel that I was a writer, but definitely not a performer. But after much cajoling, Adriel eventually convinced me to read my first poem at an open mic. After all, I was curious, so I decided that it couldn’t hurt to try. When the open mic night came, I approached the stage filled with both nervousness and excitement. I was shy at first, but then it came: a roaring fire that I never knew existed within me. It was as if I had discovered my superpowers for the first time. That small step I took led to an unexpected six-year career as a professional spoken word artist, taking me to perform at hundreds of venues across the globe, and facilitating writing workshops that combined art with social change. It also led me to discovering my passion for using my voice to empower women and to encourage others to change the world along with me. It helped me to do the important work of building bridges among communities, and helping others find their voice so that they too, can speak for the causes they believed in. Had I not taken that small step to explore my curiosity, I would not have discovered my personal purpose. And I would not have found my WHY. Because the more we step out to be an active participant in shaping the world, the more the world responds to us. We can’t soul search just by thinking about it, we have to engage every part of us by taking action and testing it out. Doing. Immersing both the mind and the body in leaning into the curves of life’s question marks is how we find the exclamation points, the Eureka moments that punctuate our purpose. I encourage you to dig deep and cultivate your WHY. Because when we as a collective begin to lead with that, we begin to fill all the dark holes with our light. All it takes is one small spark to illuminate the world. Are you willing to light the match? If your answer is yes, let's light up the world together. I invite you to join me for my "Women On A Mission" workshop in San Francisco on May 13th, where I will help you define your mission statement and clarify your WHY. Your last show was very political. Many designers shy away from being involved politics, but you're going at it head on. What drives you to use your platform as intentionally as you do? It's a crucial time for our country, for the world really. As a designer with a platform, I feel a responsibility to use my voice and to lead the conversation in a way that can provoke change. I've been told by some to keep quiet — that fashion and politics do not mix and that I should stick to my trade, however I cannot disagree more. I feel compelled to take a stand and challenge notions of what fashions' role can be in our society. To read the rest of the Q&A, head on over to NBC News. Founded by Nicki Patel and inspired by her journey along with her pup, Milo, milo + nicki is an ethical fashion brand with Indian and Zambian roots. milo + nicki's handwoven creations are made with natural fiber, and the designer ensures that she keeps sustainability at the forefront of her brand. Read on below to learn more about milo + nicki, the founder's story, and what's behind her heart-centered brand. What inspired you to create your brand? What's the story behind it? My name is Nicki and my partner in crime is the handsome, crazy energetic stud Milo (my pup). We are an energetic, indomitable duo that love hard and care deeply about people and the planet. Milo and I both hit rock bottom in 2014. The combination of our health problems, Milo having a major injury, and a very stressful burglary that spiraled us both downward, we begin to slowly feel the floor crumble beneath us. And no doctor or specialist had a remedy. I lived in fear of not knowing what the next day, hour, or minute held for us. As we conquer our fears, take a leap of faith, never give up on ourselves, and live a life full of color, I hope to empower you to do the same. Why is it important for you to participate in ethical and sustainable practices? The fashion industry is the second largest pollutant in the world, just behind the oil and gas industry. It is saturated by corruption and pollution with stories that never hit the newsstands. What we wear is something more than a piece of cloth. It has history, meaning, roots, sweat, and tears. The sacrifices in each piece of cloth is an untold story, but with milo+nicki, I hope to bring these hidden truths to the surface and build an awareness that drives the ethical and sustainable fashion movement. Our goal is to educate, empower, and inspire change. We as consumers hold the power for change, we just have to decide with our dollar what we value. What is the power of your ethical approach to fashion? How does it create a more conscious lifestyle? As we began our journey a little over a year ago, I searched high and low to find the perfect fabric supplier, to locate the most ethical local factory, and to create the least environmental impactful supply chain. I realized this was tough, very tough, but I knew that this was something that was very important to us due to our love for the planet and the people. Our power is creating a clear and open formula for transparency coupled with the story of our brand. If we are open with our consumers, they will want to learn more about our story and brand, which will make them feel more empowered to share our story and support our brand, but also educate and empower the cycle to continue through to other aspects of their lifestyle. What message do you hope to spread through your work? With milo+nicki, I want to empower the ever-evolving women, wherever they are in the world, to push the limits within themselves and within society to conquer her fears, take a leap of faith, never give up on herself and live a life of color. Because no dream is too big, no passion is too small, and no routine is unbreakable. What changes do you hope fashion can make to be more conscious of the people and the planet? For the consumers: ask questions and use the power of your dollar to cast a vote for what you believe in. Knowing how something is made, where it is made, who it is made by, and why we made it that way is not only crucial for shifting the industry norms and practices, and holding brands accountable, but it allows the consumer to feel empowered, inspired and educated on what they are putting next to the largest organ on their body. For the industry and brands: share the story of the entire process of creating the pieces, be transparent in your supply chain, and be responsible to the people and planet on what and how you create. To support milo + nicki's first collection, check out their kickstarter campaign here.